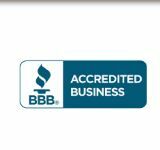 Axcess Roofing is a credentialed 5-Star Select contractor for CertainTeed products. Based on our 47 years of experience in the roofing industry, we believe these are the best shingles money can buy. Axcess Roofing is a Select ShingleMaster company, which means that each of our customers receive a written 50-year, non-prorated guarantee on materials. This guarantee is transferable to future owners for a period of 15 years and includes not only materials, but also labour and disposal. 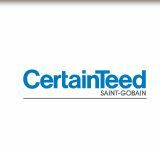 Also included is a 25-year manufacturer’s guarantee from CertainTeed, a company that has been in business for more than a century. You’ll find us listed on the CertainTeed website under the “Find a Pro” link on the home page. To clarify: If for any reason your roofing system fails during the next 50 years, it will be repaired or replaced at no charge. Do not confuse this warranty with a typical manufacturer’s warranty. They are not the same thing, as you will discover if you make a claim. As a rule, manufacturers’ warranties do not cover workmanship; so technically, your claim could be rejected if even one nail is out of place. In that case, it would be up to you to track down the original contractor, assuming they are still in business at that point. Axcess Roofing is a small contractor, but the quality of our work is unmatched. We are generally not interested in performing ordinary roofing repairs; we prefer to replace the entire system in order to provide you with a 50-year warranty and to ensure that your roof provides decades of quality service. There are only a limited number of projects we can accept each year and we are usually fully booked for the year by August, so please don’t delay contacting us if your roof is in need of replacement.